Just because you have a female manager doesn’t mean you’ll get better pay 3 lies about work that have been damaging your career for years You’ll be surprised by what the superstar founder of Bumble says about mentors Empathy is not a weakness but a superpower The downside of having attractive coworkers What’s the best way to guarantee a productive work environment? Work with people who do this If you do this on your resume, there is a 79% chance you will not got hired Are you using any of these 100,000 worst passwords for cybersecurity? Every year, while Americans wait for their paychecks, more than $1 trillion of their hard-earned money is held up in the pay cycle. As a result, they accumulate over $50 billion in late and overdraft fees and turn to high-interest loans. Our financial system doesn’t work for people. But Earnin does. 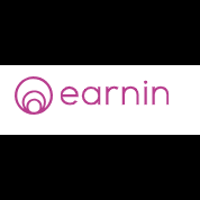 Earnin is an app that lets people get paid the minute they leave work, with no fees, interest, or hidden costs. Users simply tip what they think is fair, and receive their money in their bank account instantly. Our team is bound together by a desire to level the financial playing field. We are a Series C funding from top-tier investors including DST Global, Andreessen Horowitz, Spark Capital, Matrix Partners, March Capital Partners, Coatue Management and Ribbit Capital. Join us and help build a new financial system! using data and information to continually improve the agent and customer experience through better operations, programs, tools, and data reporting, tracking and high level analysis. Handle technical escalations, reproduce and document issues (submitting Jira tickets, general SOP improvements), and work with engineering to resolution as required. Administer customer support tools (e.g. Zendesk). Manage critical customer issues and facilitate communication between customers, partners, product management and engineering teams. Create analytics reports and dashboards using Zendesk data (at times requiring SQL queries and API calls), understand what the data means, and based on the data share actionable updates and recommendations to management and cross-functional teams as applicable. Work closely with management, cross-functionally, and with key strategic partners to ensure we create and deliver effective, efficient, and meaningful supportexperiences for our customers. Provide continual evaluation of processes and procedures; suggest methods to improve operations, efficiency and service to agents and customers. Effectively communicate bugs, updates and information to support partners timely. Develop timely solutions to address customer issues as well as design and build agent tools to solve common problems. Mentor junior team members in the various technologies and processes. Work as a member of special or ongoing projects that are important to process improvement. Ability to maintain focus in rapidly growing and changing work environments. Proven ability to multitask, prioritize, and manage time effectively. Strong experience in developing/testing/supporting API based integrations. Strong knowledge and experience in some level of functional programming. Practical experience with SQL, MySQL, API or Oracle server required. Exceptional listening skills to be able to understand, empathize and resolve issues. Appropriate judgment in upward communication when concerned about processes, tools, the impact to agent or customer experience, or gaps around best practices. Self starter that delivers results in an unstructured environment; previous startup experience ideal. Proficient in MS Office (Excel/Word/PP). Significant experience using customer service software, Zendesk preferred. Availability: Able to work full-time (40 hrs/week) Monday-Sunday between 12am-11:59pm. *Accommodate working hours to an operation that provides 24/7 service.